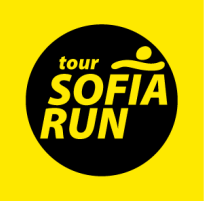 Sofia Run organizes scheduled tours where you will be accompanied by a professional running guide who will set the pace according to you and will tell you facts and interesting things about the landmarks on the way. You will have the chance to explore Bulgarian capital in a truly unique, healthy and environmentally friendly way, jogging around the city with a local guide. 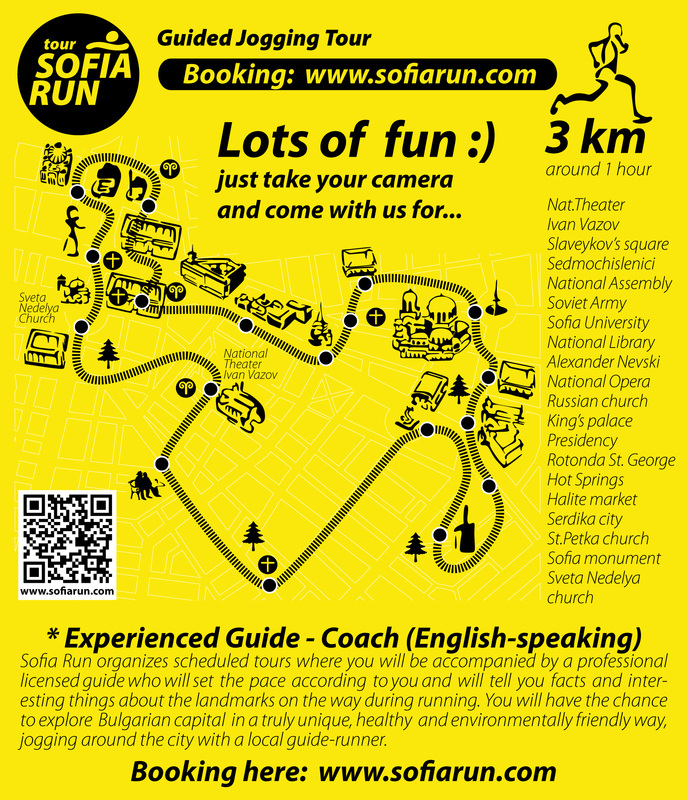 The running tour experience offers the runners who travel for leisure or business a good way to discover Sofia. Learn about the city's history and landmarks with a local Guide runner, without interrupting your sport activities. We can start the tour at your hotel if it’s located in or near by the itinerary. Contact us and tell us the name of your hotel if you prefer this option. Visit the heart of the city, and have an unforgettable overview over the Bulgarian capital. An outstanding urban landscape with very deep history. Pass by the famous landmarks and see the many and varied monuments, Roman's sites. SEE: National Theater Ivan Vazov; Slaveykov’s square; Open air book-market; Sedmochislenizi church; National Assembly; Soviet Army monument; Sofia University; National Library; Alexander Nevski cathedral; National Opera; Russian church; King’s palace; Presidency; Rotonda St. George; Hot Springs; Halite; Serdika site; St.Petka church; Sofia monument; Sveta Nedelya church. 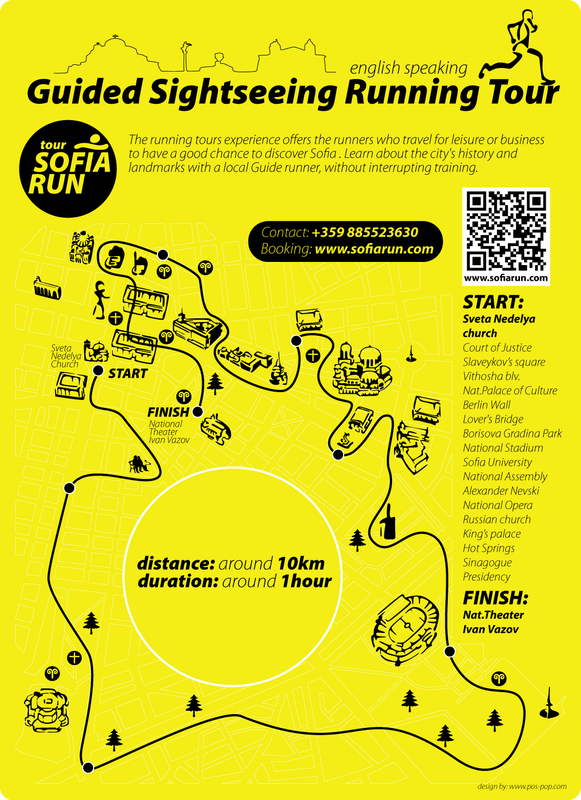 See top landmarks by running between the places and learn a bit more about Sofia and Green parks. Escape from the busy city in to the green side of Sofia city. Explore the parks and sport activity with an experienced coach.